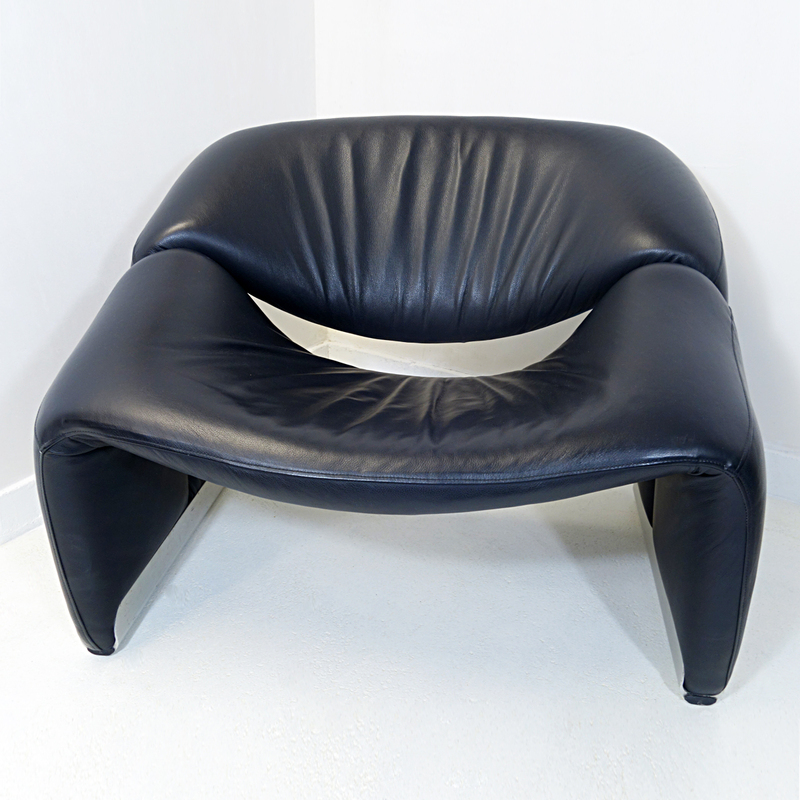 The Groovy chair, or F598, was designed in 1973 by France’s top designer Pierre Paulin for Holland’s most Avant Garde furniture maker Artifort. 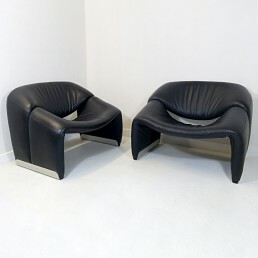 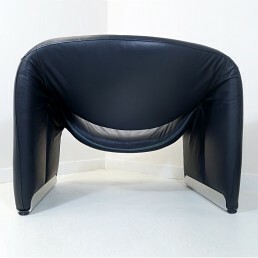 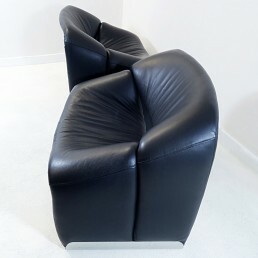 Their compactness combined with great comfort and of course iconic looks made this chair one of the stars of the 1970s. 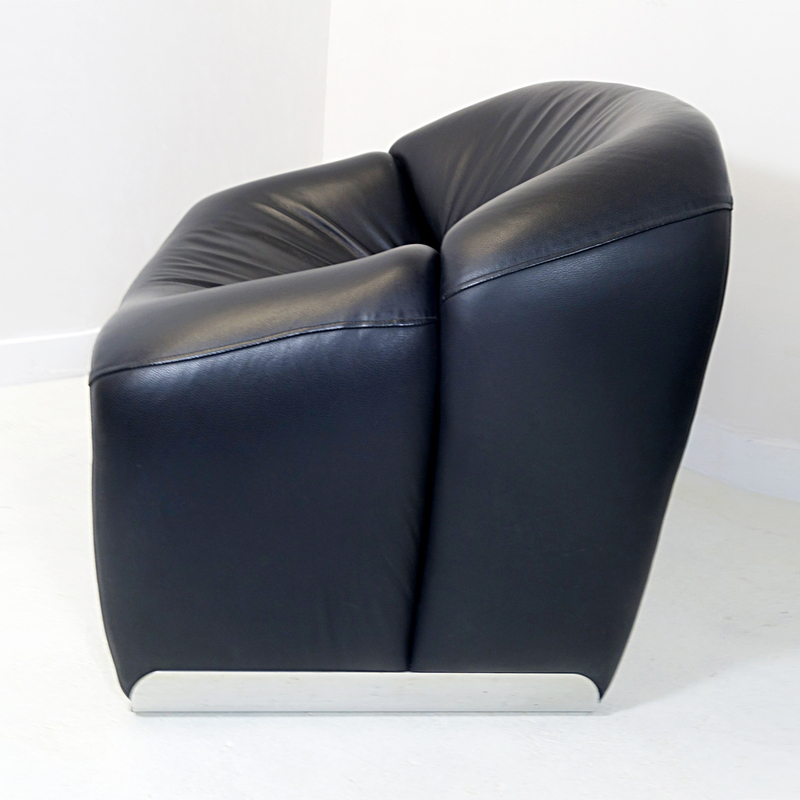 The Groovy Chair very rarely is upholstered in leather, but we found this set in black leather. 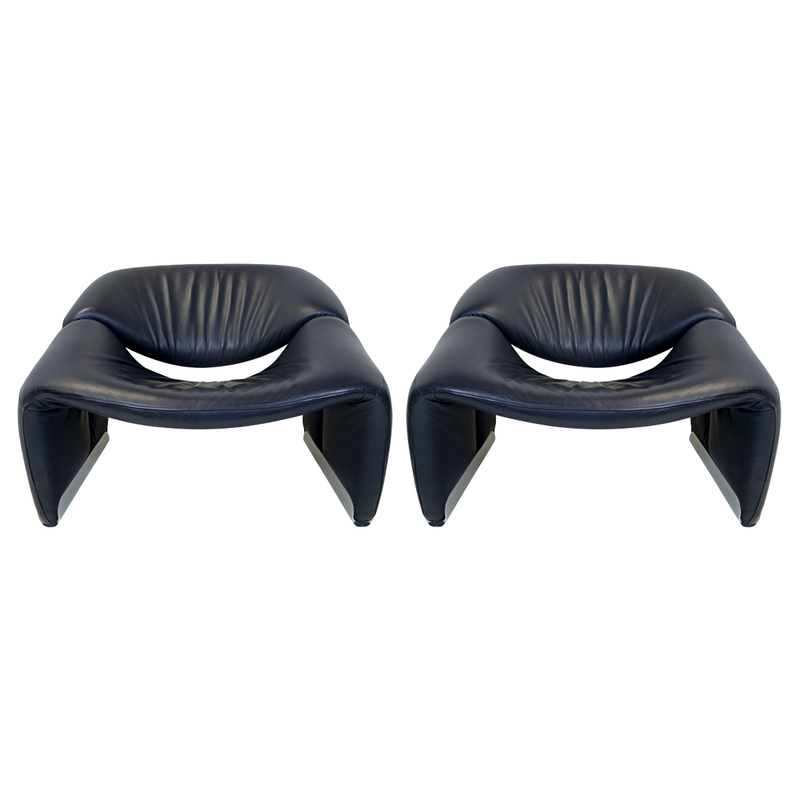 There is another pair available.